A certified and compliant solution addressing side underride collisions between vulnerable road users and large transport truck trailers. 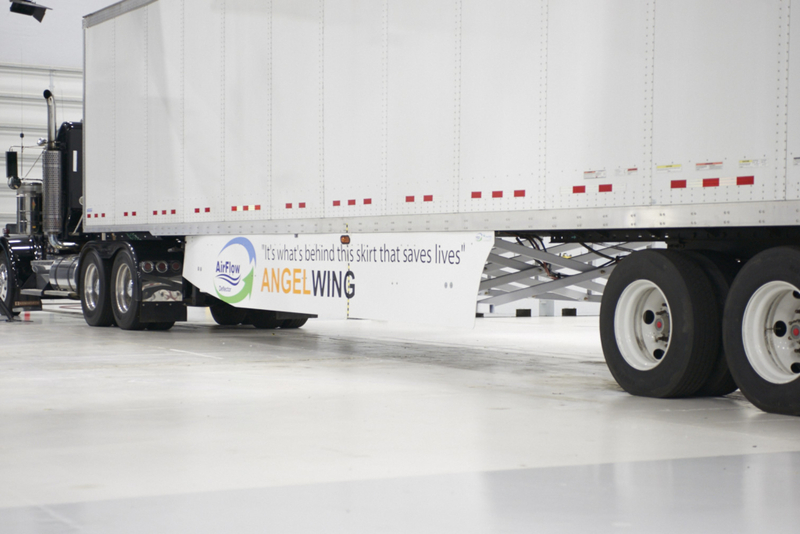 AngelWing is designed to withstand at least the standard 40 mph crash, It’s structural strength, and design can prevent vehicles from passing into the underride (space between the trailer and the ground) should a side collision occur. AngelWing can possibly reduce major injury and death to its occupants. In addition to added protection, AngelWing Side Guards are adaptable with traditional fairing skirts which can reduce fuel consumption at the same time. Collisions with the sides of tractor-trailers resulted in about 500 deaths each year and that many of these deaths involved side underride. 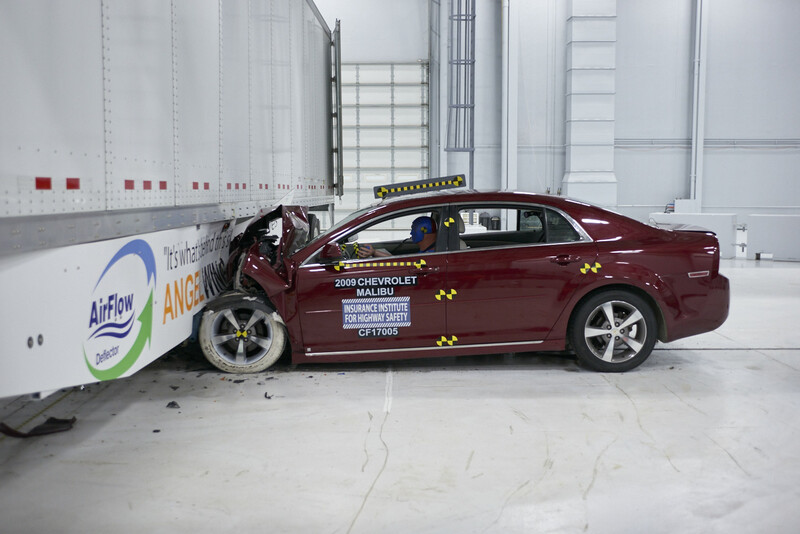 Researchers also found that current trailer rear underride guard standards are outdated. Several organizations in the US and Canada have included that both in service and newly manufactured truck-tractors and trailers be equipped with side underride protection systems. 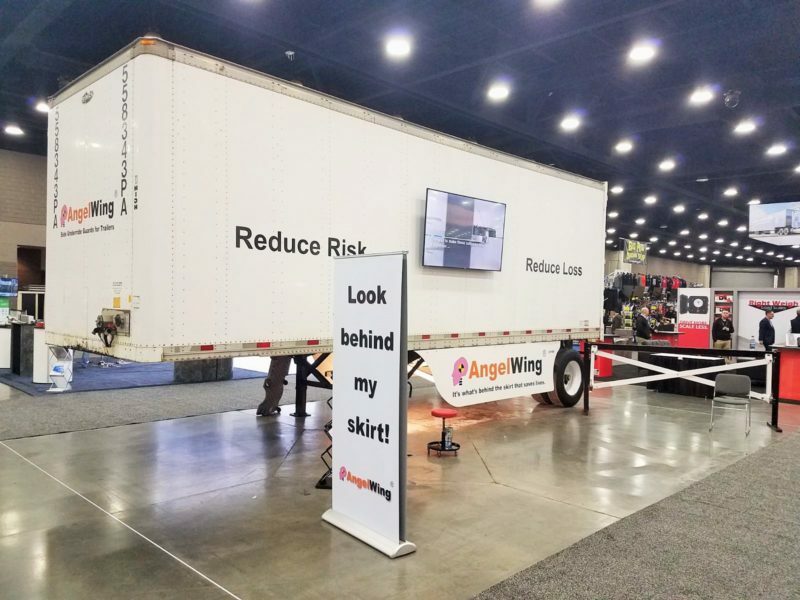 Its goal is to improve trailer side underride guard standards to better protect passenger vehicle occupants from fatalities and serious injuries. Currently, under-ride steel guards on large trucks are required for the backs of semi-trailers, but not for the sides of trailers or the fronts of large trucks. According to the National Highway Traffic Safety Administration (NHTSA), an upgraded standard for rear under-ride guards is pending, and rear guard requirements on single-unit trucks, such as delivery trucks and garbage trucks are also under consideration. To date, discussion concerning side underride guards and their application has been completely avoided.